The original MAGIC article can be seen here. When a massive star has consumed almost the totality of its nuclear fuel, it undergoes a supernova explosion and its fate depends on its mass: if it is heavy enough, it becomes a black hole where not even the light can escape, but if its mass does not reach this limit, the remnant is a rapidly spinning neutron star called pulsar as a leftover. Pulsar wind nebulae (PWNe) are nebulae powered by the magnetized wind of a pulsar. 3C 58 is a young PWN powered by a powerful pulsar (PSR J0205+6449). 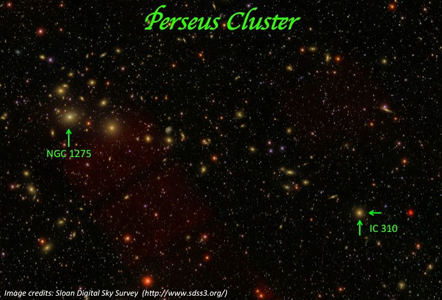 The source's age is very controversial, since it is spatially coincident with a Supernova recorded by Chinese and Japanese astronomers between August 4th and 6th in 1181 AD, although measurements do not support this hypothesis and derive several ages, usually larger than 2500 years. The distance to the source is also uncertain, since it was always considered to be located at 3.2 kpc but recently a new distance of 2 kpc was proposed (Kothes, R., 2013, A&A, 560, A18 ). 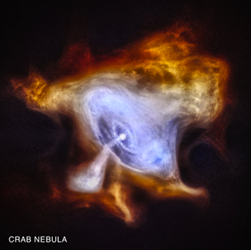 Due to morphology similarities (see Figure 1 from Chandra X-Ray Observatory), 3C 58 has been compared to the best studied source in the sky, the Crab Nebula. Figure 1: (left panel) Crab pulsar and Nebula and (right panel) 3C58 as seen in the X-ray (courtesy CXO). In both cases the Chandra image shows the center of the nebula, which contains a rapidly spinning neutron star surrounded by a thick ring, or torus, of X-ray emission. 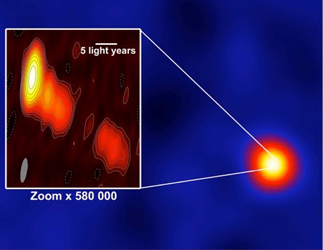 Nevertheless, it was observed and undetected by several ground-based VHE gamma-ray telescopes. 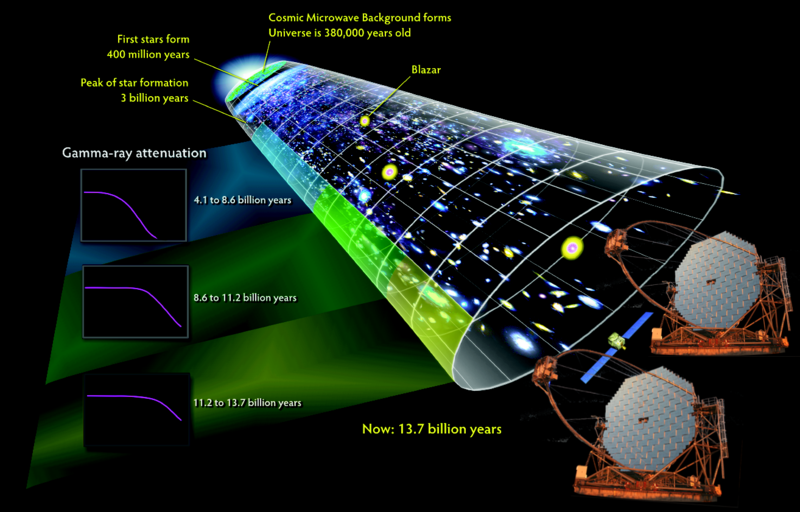 3C 58 was first detected at gamma rays by the LAT instrument on-board Fermi satellite and the observed spectrum is extending beyond energies of 100 GeV. 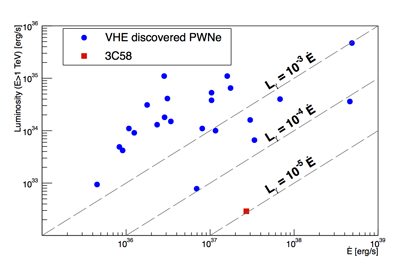 MAGIC finally succeeded in discovering VHE gamma rays emitted by 3C 58 (MAGIC J0205+6451) (Figure 2) and in extending its spectrum up to a few TeV energies (as shown in Figure 3). 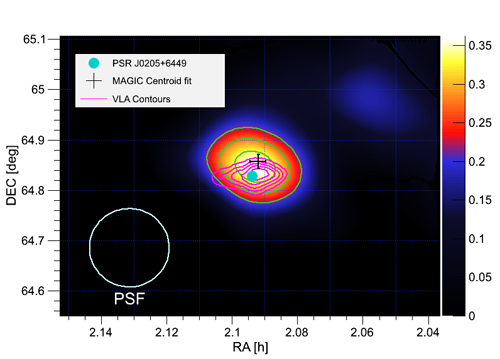 Figure 2: Skymap obtained by MAGIC. 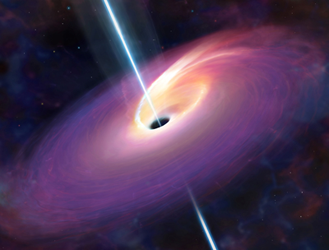 The gamma ray emission is shown together the optical position of the pulsar and the radio contours. 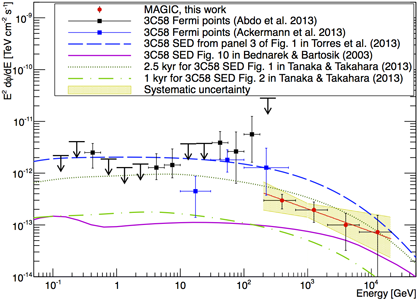 Figure 3: The Very High Energy spectrum of 3C58 including Fermi and MAGIC points and theoretical models. 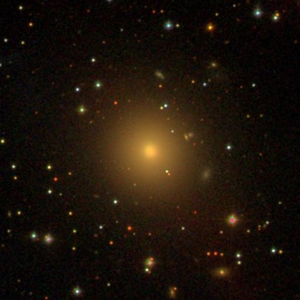 MAGIC observations established that 3C 58 (MAGIC J0206+6451) is the lowest luminosity and the one with the lowest flux ever detected at VHE gamma rays as shown in Figure 4). The assumed age that best fits the data is 2500 years, while a distance to the source of 2 kpc or a high local infrared density for a distance of 3.2 kpc might explain the multiwavelngth emission. Since the high local infrared density is unexpected, we favor the recently proposed distance of 2 kpc to the source. The magnetic field derived by the different models is very low (below 35 microGauss) and far from equipartition, which is ~ 80 microGauss.